trailblazers in service for people with disabilities. When it comes to providing services for those with disabilities, Elinor Burns has found herself as a trailblazer more than once. 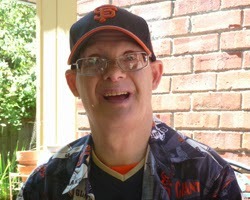 Eric has had a full life as an artist and a gold-medal winner in Special Olympics, and enjoys camping, bowling, and other sports. All of these are things he does with his friends from Abilities United. Those of us at Abilities United are very grateful to Elinor for her wonderful efforts in establishing our organization, and for continually working to improve services for people with disabilities.